Our patented system with dual durometer rear mounts is designed with a vibration dampening urethane sandwiched between a hard urethane outer ring and a one piece aluminum CNC machined inner bushing and backing plate. 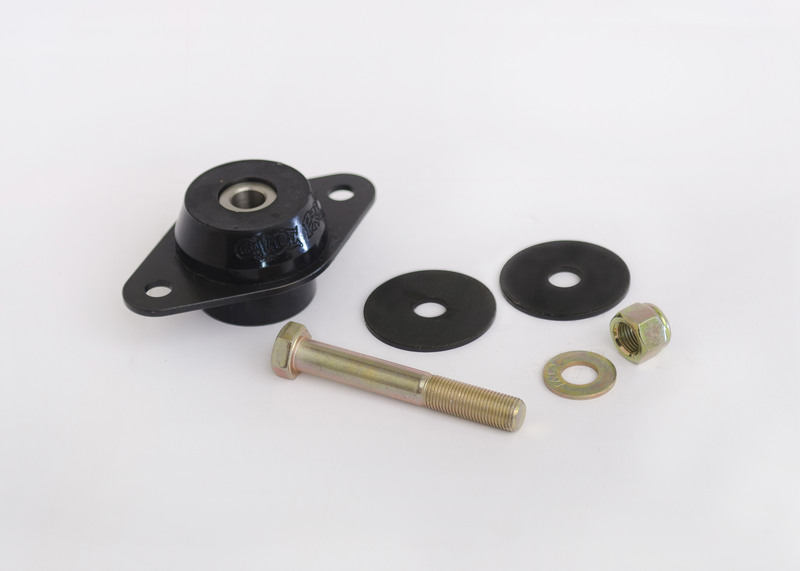 Our front mount is made from a urethane compound that is designed to work with the rears and bonded to a stainless steel plate. Our parts are in 2 world record speed holding bikes. We now have parts for all FLH frames including aftermarket frames from 1985 thru 2011. Our parts also fit all FXR frames, Factory or aftermarket. We’ve had really good results in Big Dog bikes. Also in Daytec and Rolling Thunder frames. We have also gotten good feedback from our customers with trikes.